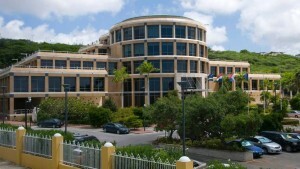 WILLEMSTAD - The Bank has taken note of reports in the media about management changes at an insurer under its supervision. The Bank has, under the State Ordinance Supervision Insurance Industry (P.B. 1990, No. 77) as amended by the National Ordinance harmonization and updating of supervisory regulations Central Bank of Curaçao and Sint Maarten (P.B. 2015, no. 67) (Ltv), the supervisory authority on insurers. In the case of management changes at supervised institutions, in accordance with Article 32 of the Ltv persons who (co-) determine the day-to-day policy of an insurer cannot be appointed without prior permission from the Bank. The Bank's approval depends, among other things, on the results of the expertise and reliability testing carried out by the Bank by (co-) policymakers from supervised institutions. The final decision-making about this process lies with the Council of the Board of the Bank. The Bank does not exercise any substantive content in view of its duty of confidentiality communications about such reviews.